Now that the days are significantly shorter, so short in fact that they feel as though they are about half as long, it’s a challenge to go running outdoors in daylight. At other times of the year, I struggle with motivation, injury, snow or heat. There’s always a hurdle. Right now, the biggest challenge is that there doesn’t seem to be enough daylight hours. So what can you do in order to find time to run in daylight? Well, something’s gotta give. 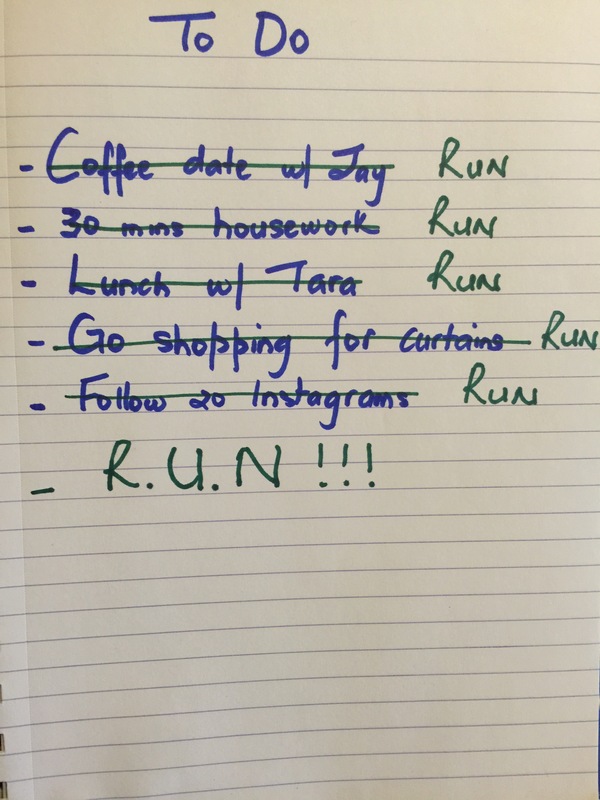 Time to examine the old to-do list and see which activities we can skip or pare down to make time for running. Lunch. I’m not suggesting you don’t eat, although fasting does have several known benefits. But maybe instead of going out for sushi, you can take your lunch hour to get a short run in and then eat a sandwich at your desk later instead. Or chew on some bars while you’re changing back into work clothes. Shopping. Trust me that there is always time for shopping. As the holiday season comes, stores have extended holiday hours – some retailers even staying open overnight. There are also lots of delivery options so you don’t have to go shopping, even for food. 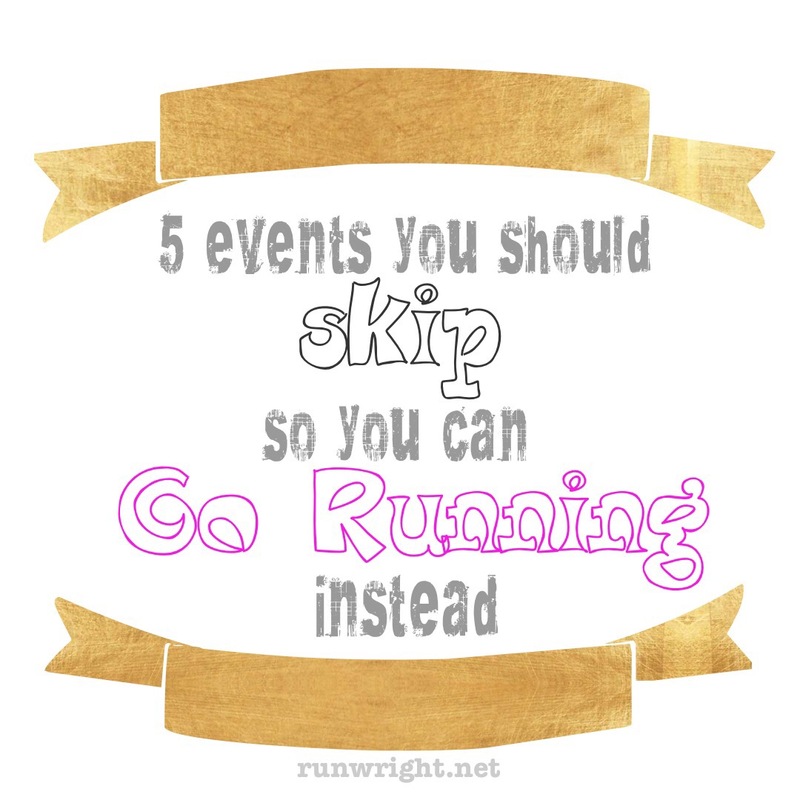 Use that time to lace up your sneaks and run instead. Dating. Skip the casual coffee dates and the blind dates that lead nowhere. I’m not suggesting you skip romantic time with your significant other. Absolutely plan quality time with the people you care about. But after a run, when your endorphins are pumping, is a better time to meet someone new anyway – you’ll view them more favorably. And you can meet up with your pals after the run to share a refueling meal. Bonus points if you invite your date to share the run with you. Keeping up with social media. If you tag your pictures right, your workout pictures will get more likes anyway so the best thing you can do for your social media account is to go running and photograph it. Chores. Of course you have to do chores. Or so I’ve heard. I am a procrastinator at heart so I’m always looking for a reason or justification to delay doing housework. (That’s not true but it fits in with the theme of this post so let’s pretend it’s true.) anyway, chores will still be there after dark. You can polish the silver and clean the windows and sort the recycling anytime. 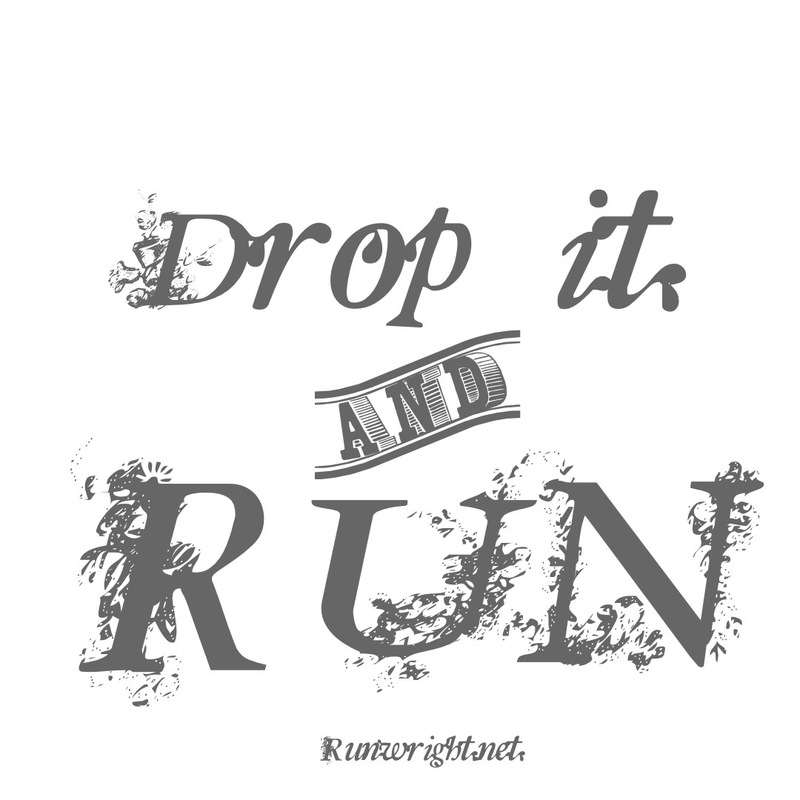 Run first! Running has a lot of benefits, whether you run fast or slow. And even if you have to sacrifice something, go for a run today. No one has ever said I’m so sorry I went running. In fact, you’ll be glad you did! Housework, what is that? LOL You know it’s funny, with my business I have to be so organized and wedding details I try to be as perfect as possible. But when it comes to getting home and my own stuff oh that is the first thing that I skip for another day and would totally choose a run over and do quite often LOL! Years ago I had a desk job, and you are so right lunch is the perfect time (especially in the winter) to get out for a run. It only take s 5 minutes to scarf down a sandwich anyway and you can do that on the move while you;re walking back to your desk for sure! Also liked the tip on social media. As a blogger it’s so easy to get caught up into that, I have this 5 minute a day thing on that, and try to force myself to stick to it. But I know a lot of people who sit down for 5 minutes and an hour passes (yes that has happened to me too.) so your right sticking to a plan, skipping social media for a bit is a great way to find extra minutes/time to get a run in! Oh, I wish it only took 5 minutes to update my social media. I’m one of those people who plan to spend 10 mins (that’s the time I allot in my To-Do list) but it’s more like an hour. Sigh! Thanks, Jane! I just don’t like running at night so whenever you get to do it, day or night, I hope you enjoy! Oh gosh, I don’t know if I could give up cleaning for working out. That would be tough for me. I do try to fit it in as much as possible and scheduling workouts into my day works best for managing to get it all done! Haha. I understand Lisa. I don’t recommend ditching housework altogether, although that’s what I’d like to do, just do it later in the day – cleaning after dark. You are so awesome! Finally getting around to all the comments! Crazy how many there are! Just responded to yours on my blog! And I want to say Thanks so much for the support today and all the other days since the hop has started! I’m happy we have connected through the blog hop! Would love to have you join the link-up more often if you wouldn’t mind mentioning it on the posts you link-up that would be awesome too! These ideas are great by the way! And I have been totally beaten up by the whole time change! I had just gotten into running and really looking forward to more outdoor runs! But the mornings are so cold and the evenings are so dark! I definitely feel my day is over by 5p.m.! Cause I’m so tired and feeling like its already 10p.m.! Seems like we can’t catch a break from trying to stay motivated because of all these other unfavorable situations! But if you’ve shown anything here is that if we dig deep we can make and find the time to stay at our goals! Happy to have met you and looking forward to staying connected! Definitely. I enjoyed the traffic spike though. I rather have a lot of comments to respond to than get no feedback on my post. Busy is a good problem to have. I agree with all these! Sometimes you just gotta ditch it all and run! It usually helps me anyway if I’m being unproductive- I can sit at my screen for 3 hours or I can pootle off for an hour or so and come back and get everything done! I get the same boost of energy and productivity from running. Ideally, I like to run first thing in the morning but it gets challenging around this time of year when it’s dark both when I leave home in the morning and when I come home in the evening. Great ideas! It’s so easy to look outside on a cold winter’s evening and decide not to go out. So, putting anything that can be done once the sun goes down to one side and going out in the daytime is much better. I wish I had friends in running distance to me and I think meeting up for a coffee after a run is a great idea. And you know, of course, that I love running at lunch time! Great ideas! It’s so easy to look outside on a cold winter’s evening and decided not to go out for a run. So anything that can be postponed to the evening to allow you to get out during the day is a good thing. I wish I had friends in running distance as meeting for a coffee after a run sound like fun. And, of course, you know I like running at lunchtime! Thanks for this. I totally needed it!